The Fall 2010 Newsletter is here! Visit our website to read a pdf version of current and previous editions, or sign up to receive the e-newsletter in your inbox. Members of the UC Press Foundation are eligible to receive the print edition twice yearly. 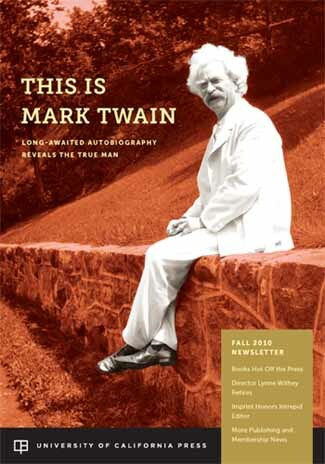 This season’s newsletter features an article on the long-awaited Autobiography of Mark Twain, a roundup of UC titles hot off the press, a timeline of exceptional books acquired by Director Lynne Withey during her career at UC Press, news about the new imprint launched by Executive Editor Naomi Schneider, and information about the Press’s collaborative venture with the California Digital Library (CDL). 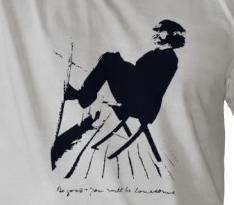 And if you haven’t signed up to hear about new releases in your field, special discounts, conferences, and the latest author news, visit our eNews page to subscribe to the newsletters of your choice.